ShowBiz Software was delighted to support the Association of Show and Agricultural Organisations (ASAO) conference again, the 20th year we have been attending. This year the event was hosted by The New Forest Agricultural Show Society and the venue was the wonderful Ageas Bowl in Southampton – home to Somerset County Cricket Club. It was a bit late for cricket but the view was still spectacular! 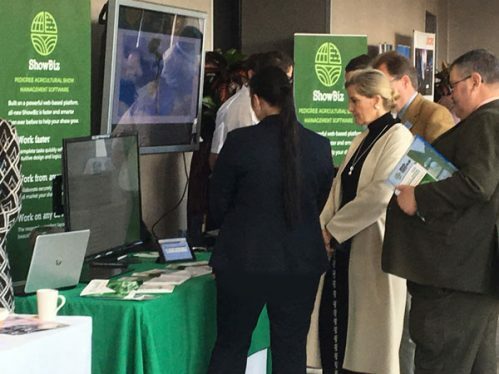 The conference was attended by its patron – the Countess of Wessex – who was interested to hear from Lucinda Sharp how ShowBiz Software was supporting agricultural shows throughout the UK.